The goal is that this designated space would serve as an area for reflection, conversations, or merely an oasis outside the walls of the hospital. The construction of the gardens allows for team-building and social activity within our program. Anonymous surveys are available for medical residents, medical students, and other healthcare professionals to fill out. How much time did you spend in the wellness garden? Additionally, the wellness garden is to be used as a platform in our monthly resident wellness lectures regarding nutrition, healthy lifestyle, and mental health. From the data we collect, we hope to create interest in wellness gardens for more residency programs across the United States. Resident wellness and mental health have recently been a popular subject in graduate medical education. With long hours and high-stress environments, residents need access to creative outlets in order to manage stress. Our residents believe the wellness garden on our hospital campus will allow us to manage our stress better by enabling us time to spend together as well as space outside in nature. 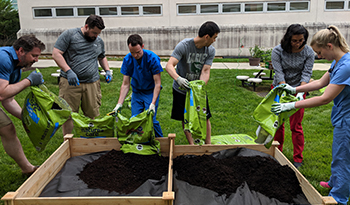 Our hope is that our wellness garden will be used by medical residents, hospital staff, as well as patients and their families as an area outside the hospital where they can sit, reflect, and relax. We hope to be able to show a positive impact on stress levels, fatigue, and overall well-being from the surveys of those using the garden. We will incorporate as many ideas from residents as possible, and in subsequent years, allow them to choose different plants or flowers, and add to the wellness garden in ways in which they think will be beneficial. Future goals that have been discussed our involving community and civic groups in the maintenance and upkeep of the garden. 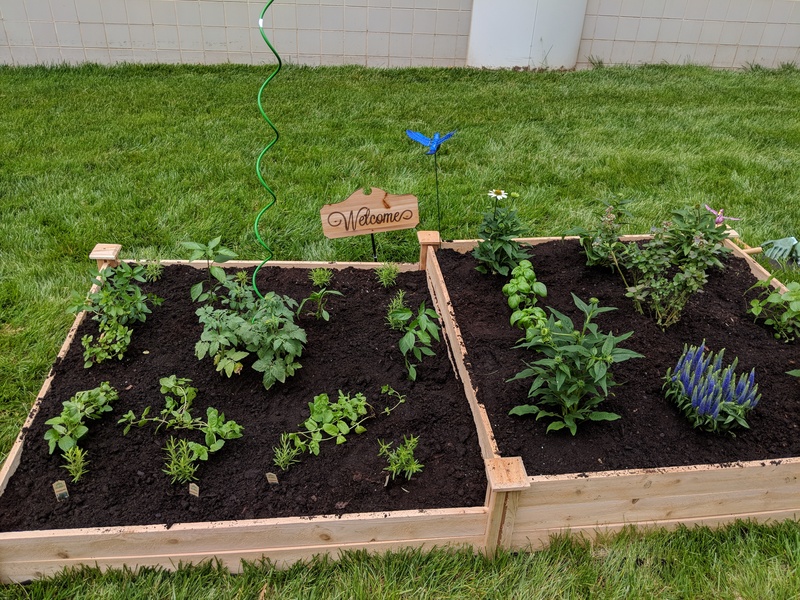 We hope to be able to use the wellness garden as a platform to have discussions and talk about nutrition, healthy lifestyle, and mental health and wellness issues not only within our residency program but within our community in Norristown. By creating the garden, we formalized a wellness curriculum and spent more time outside tending to the garden. Post surveys showed residents had a positive experience regarding increased wellness time in didactics. We will continue to maintain and expand our garden. 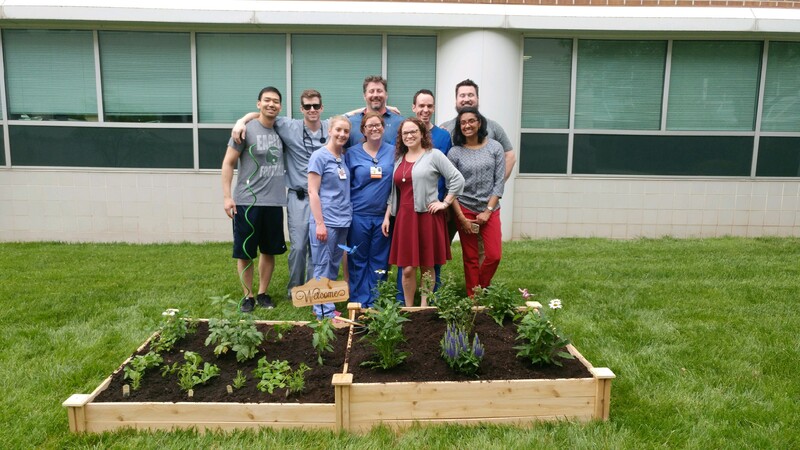 It was truly an amazing experience to grow our own herbs, fruits, and vegetables that ended up giving us a healthy option for lunch at the hospital. Simply making time for ourselves to spend time outdoors has improved how we residents handle stressful situations.